In today’s world, everyone is professional and has a reputation is his field but still one can easily be found struggling with some financial problems. If one wants to avoid financial difficulties the foremost thing he can do is to learn basic financial skills. A Statement Forms comprises various budget templates those contain financial positions, balance sheets and other financial activities of the related firm, person or entity in a structured and user-friendly manner. These are the financial statements mostly used by plaintiffs in family matters like Divorce, Separate Staff, Paternity modification etc. 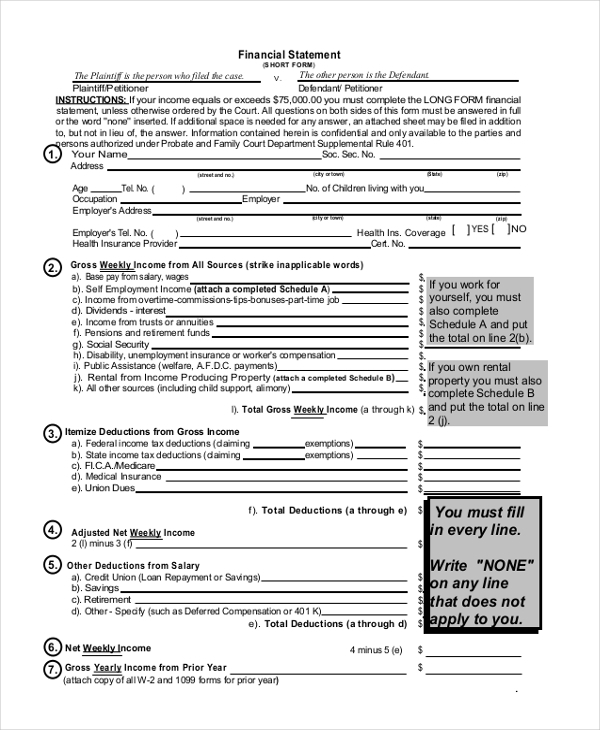 Another restriction for using this template is to have your gross annual income less than $75000. These are the templates used in domestic relation cases such as divorce, matters after the decree, etc, where the entities have to fill these forms. It’s one of the important documents in case of domestic matter and should be filled necessarily. These statements are specifically designed regarding domestic financial matters. You may also see Sworn Statement Forms. These are the forms filled in the condition of financial difficulties regarding mortgage repairments and where mutual agreements are possible. Here one provides his current income, expenses and other financial situations in the process to reach a mutual agreement with the help of professionals. 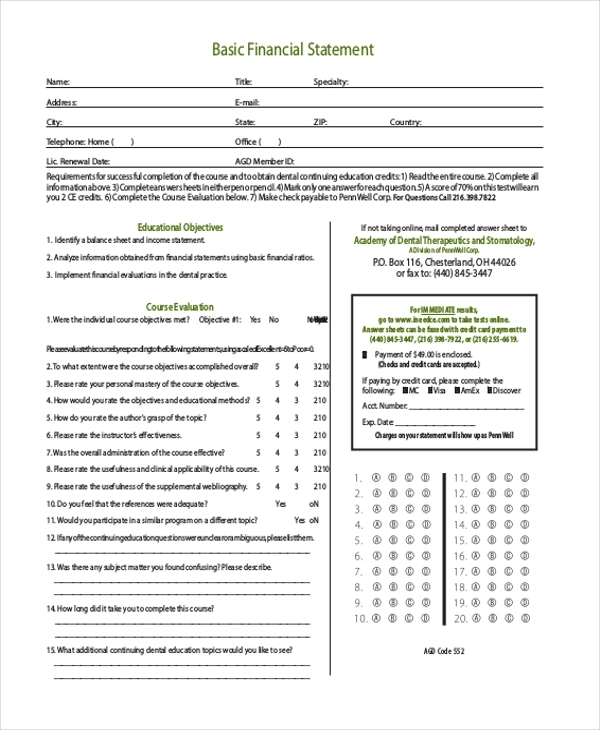 These are the standard statement forms and used only in mortgage-related situations. You can also see Witness Statement Forms. These are the documents which are used by various universities to get the financial security of their international students and sometimes locals too. In the document, a student has to show his all financial supports in process of ensuring the university about his financial stability. It is just used by students only and is a part of admission procedure of various universities. The personal financial document is a financial document showing the user’s financial position at current scenario. It includes basic information about the user and complete outline of his total liabilities and assets. These are mostly used while applying for a credit like a mortgage or a loan. These are used as personal documents and sometimes kept confidential too. 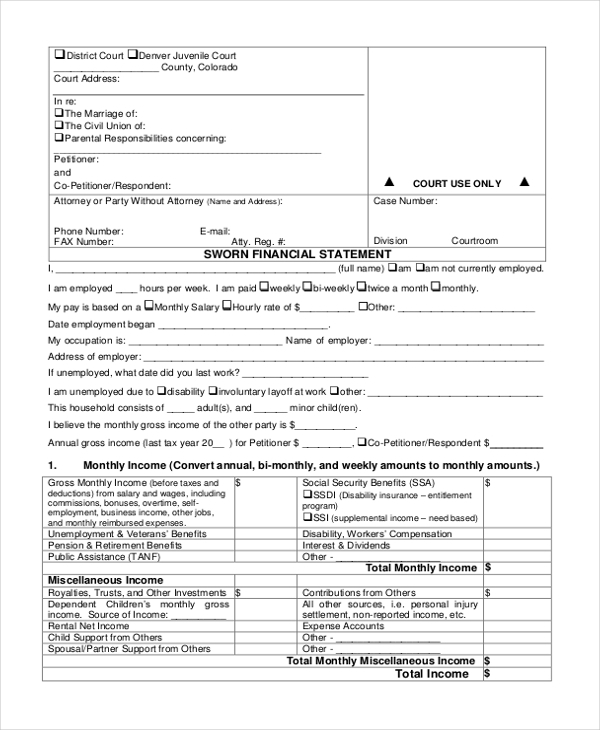 You can also see Income Statement Forms. 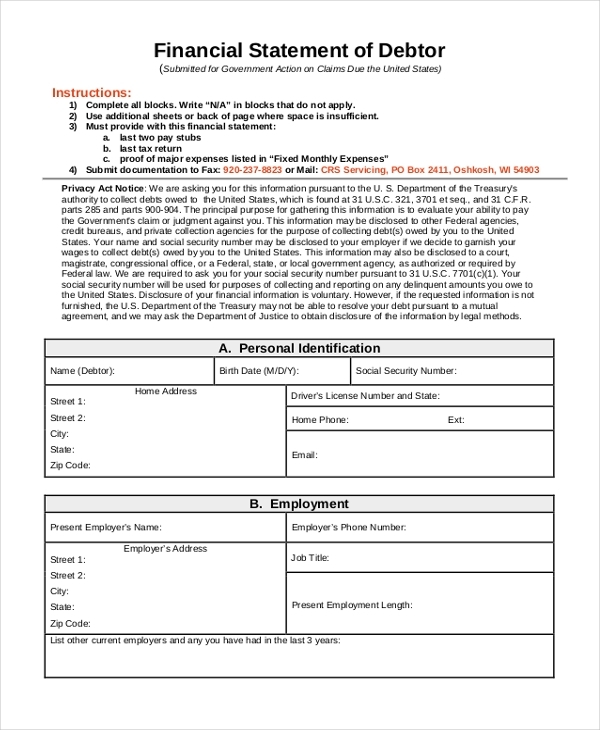 This form is usually used to request for either or both annual financial statements and the Quarterly Financial statements. This is yet another official and efficient way to collect financial statements when you need. This financial statement includes the details of employment, monthly income and expenses, dependents, tax and assets, the list of items that might take an effect on assets including the personal details of the concerned entity. 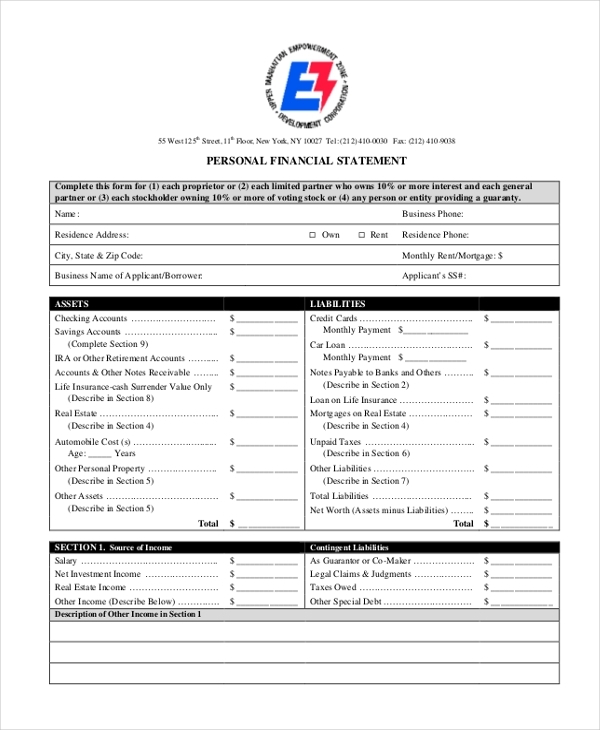 This financial position statement form clearly gives the reviewer the data about the items and assets and the current position when it comes to the financial status of business or any other entity. A basic financial statement form consists of all the objectives like balance sheet, income statement and the data that was collected from the basic financial ratios in order to implement financial evaluations in the practice. 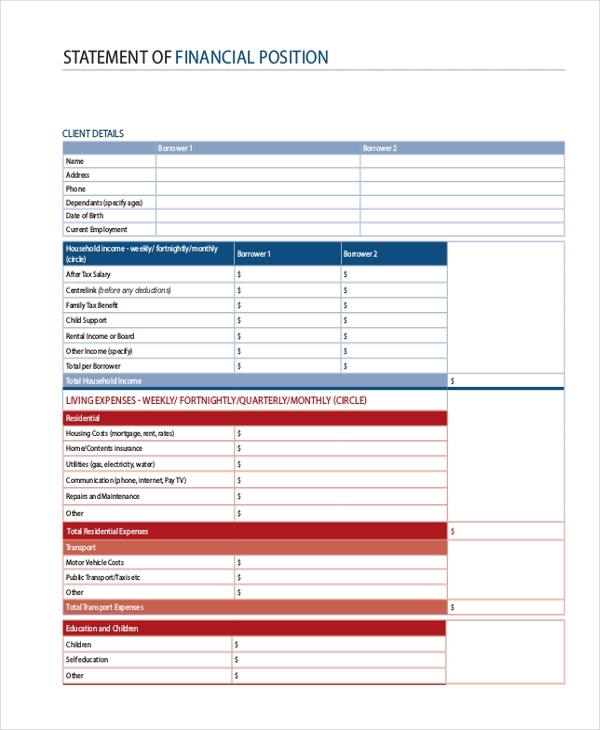 These blank business financial statement forms are best to fill in reports that quantify the financial strength, performance and related financial effects of the company. In simple words, this can act as a statement of financial position of the company. Who is The Target Audience For These Forms? Financial statements can be defined as a detailed document of financial activities and circumstances of a person, a firm or a company. These are used in the process to show the company’s financial strength or current financial situation of individual on paper. These statements describe effects on the financial position of individual be any financial transaction or related event. The company issues these statements while giving financial information of the company to creditors and investors outside the company mostly. The basic motive of a financial statement is to explain the financial scenario of the company or individual to an outsider in a user-friendly way. They contain basic statements with a management analysis. 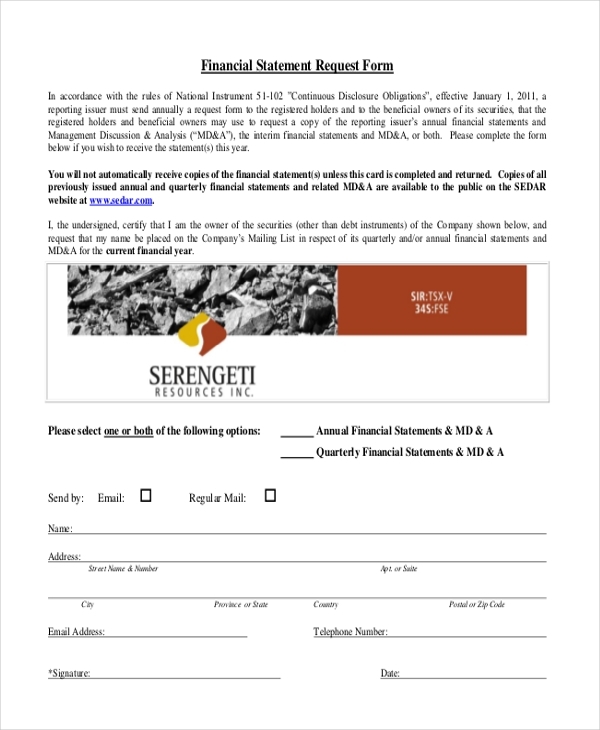 You may also see Financial Statement Forms. 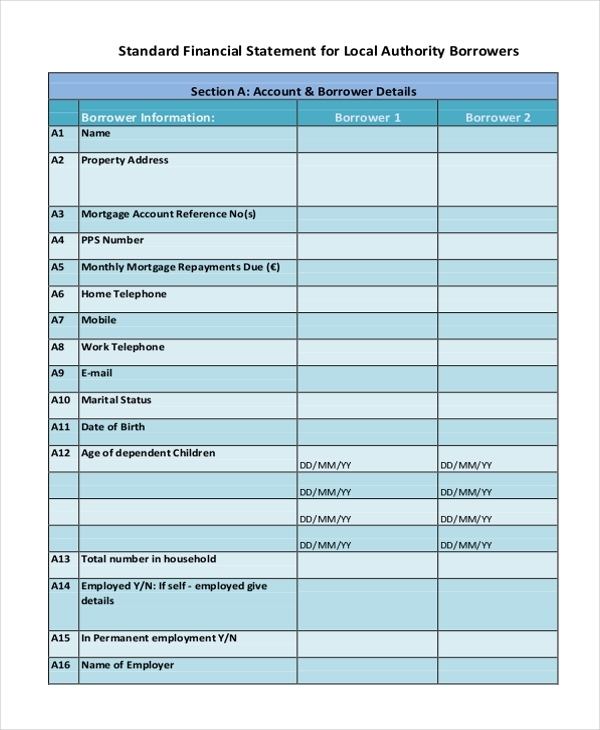 How Can One Use Financial Statement Forms? As described there are a number of templates available in financial statements forms useful in specific circumstances, so one should choose a financial statement form according to his own need. Some basic types of financial statements are Statement of financial position, Income statement, cash flow statement and statement of equity changes. Financial position statements are also known as balance sheets and are useful while presenting the financial position of a person or company at a specific time. Income statements contain the details of individual’s incomes and expenses thus helping in controlling them. These are also known as profit and loss statements. For net profit or loss, one subtracts expenses from total income. Cash flow statements represent the change in cash and bank balances in a specific time period. And the last one statements of equity changes explains the movement in equity of owners in a specific time period. 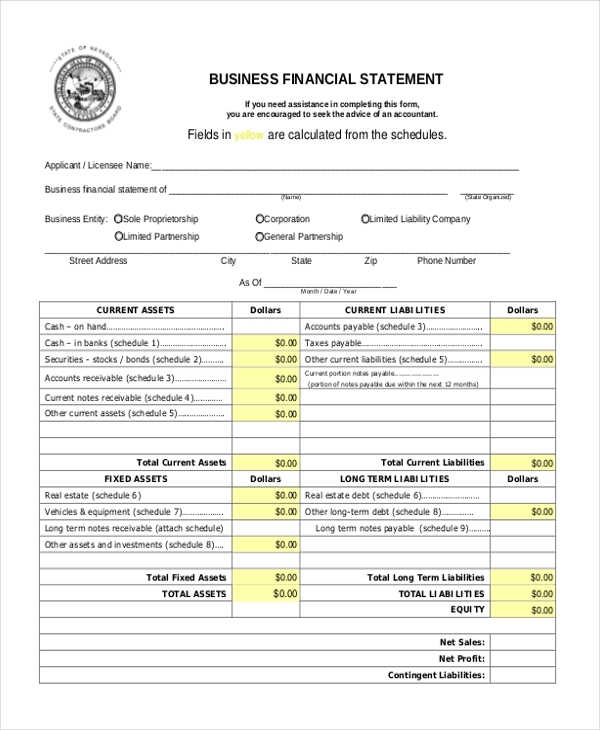 You can also see Business Financial Statement Forms. As described above financial statements are very useful in the situation of financial difficulties, so a person should always understand the basic financial terms. 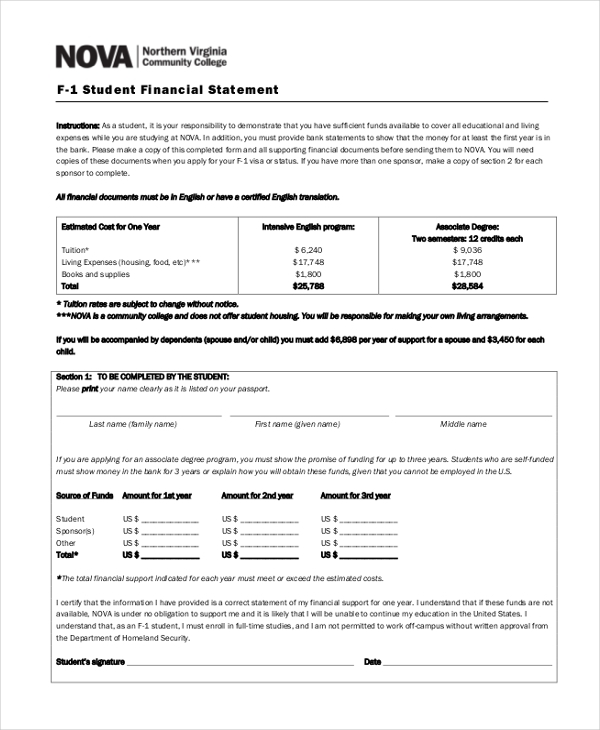 These budget forms help you in getting an introductory education regarding financial statements. A person can easily understand the financial statement forms by going through above description and make him aware of financial difficulties. A person can easily choose the specific type of financial statement form he needs at the time regarding his financial situation.